From what I read on it, it appears to have quite a good plane of its type--that is, a fast all-weather interceptor. I look at pictures and immediately think of my Dad's favorite plane to fly, the F-106. But the Arrow had two engines and two crew, and massed considerably more than a Delta Dart. The A-5 Vigilante was close in size, but lighter. Same Mach 2 capability, despite less engine thrust, and had more range. Similar philosophy of weapons stowed in a bay, which my father says was key to the 106s magnificent performance--it flew clean, none of that nonsense of stuff attached to the wing which slowed down other planes. (There was the option of drop tanks, but they were quite streamlined too-still I think when he speaks of the plane just zooming up to a gratifying fast speed he's talking about flying without the drop tanks). Besides physical dimensions, also has to integrate with the avionics and that's the expensive part. The Vulcan was fixed, though. Always stuck but a bit below. During the William Tell ADC/ANG Gunnery Meets, the CF-100s were known as 'Clunks' but affectionately. In the '50s the F-89 was also available and they both used the AN/APG-40 radar MG-2 fire Control by the middle production run of both aircraft. Oh yes. It’s not been highlighted so far, but there have already been schedule slips attributable to mistakes made as a result of Mishin’s over-indulgence, though normally his deputies are able to catch the worst of them. That seems to be a pretty common lamentation when discussing the Arrow! Yeah, the tack we took with it here was a bit of a reaction to that tendency to give OTL cancelled projects almost supernatural powers! ITTL, the Arrow is a good fighter, one of the best in the world in fact, but suffers from being a) expensive, and b) tricky to maintain (or what e of pi referred to as a “Ramp Queen par excellence”). It would seem thought that you and your advisors consider that the cancellation that happened OTL was not the irrational bolt from the blue the Arrow's champions suggest, brought on solely by hardball politics, but was a decision made easier by the fact that sober projections of the probable market share it could take had it falling short of the cost of continued development. When I first started looking into this (at the suggestion of a certain Canadian of my acquaintance...) I was struck by just how much of the weight of argument was against Arrow continuing - the huge development cost, the perception it was obsolete in the missile age (with both of those factors putting it in direct competition with the US-backed BOMARC), and the lack of interest from foreign buyers all made it a very tempting target for cuts… and it still almost avoided cancellation! It seems that there were a lot of people in the Canadian military, industry and government who really wanted it to fly - so here we butterfly-dropped one who was prepared to go just that little bit further to make sure it survived. A promise of foreign sales just before a key decision point tipped the scales ITTL, with Strauss being the perfect candidate to help with that tipping. I think you’re right that future developments will show Arrow to be a versatile, effective aircraft as time goes on and memories of the costs begin to fade. And she is a damned pretty plane! Yep, the ouster was delayed compared to OTL (due mainly to Khrushchev’s post-Berlin reshuffle adding a couple more supporters to his camp), but given the problems occurring with the economy (especially agricultural reform and the 7-year plan) and with perceptions of Nixon increasingly getting the upper hand diplomatically, he still doesn’t last. The delay does have knock-on effects on the preparation and execution of the coup, with one result as you noted being Shelepin taking the top Party role instead of Brezhnev. IOTL, Brezhnev was able to use this position to ensure the Party gets the upper hand on the Government. : : That is heavily armed! Thanks for sharing those! I meant your love, if not for the plane itself, than for it as a subject of controversy, and your amazement no one took the bait. After your implicit request for a response on that topic I started writing one but got sidetracked for days and days until your next post appeared. But yes, it seems part of the general Arrow curse, doesn't it? ...ITTL, the Arrow is a good fighter, one of the best in the world in fact, but suffers from being a) expensive, and b) tricky to maintain (or what e of pi referred to as a “Ramp Queen par excellence”). Missed that I guess--I didn't consider that it would be expensive as jet fighters of the era go. But of course twin engine tends to be pricier than single--being bigger, generally--and the more justification there is for believing it would have been superlative in one aspect or another, the more likely that supremacy came at a high price, no matter who made it. I rather naively assumed it would be cost-competitive and robust and easy to maintain, but I can see now those were silly assumptions for me to make. The Iroquois engines, for instance, were made with a whole lot of titanium and other pricey, exotic and hard-to-machine metals--I suppose they could have used the properties of these materials to give it run-of-the-mill performance with very high reliability and being quite robust, but that's not what they were going for--they wanted performance to put other machines in the shade and thus these costly high-temperature, high-strength materials would be as relatively stretched to the breaking point as more mundane ones in ordinary engines would be--they'd break down as often as the established engines, if not more often, and have just one source in distant Canada for replacement parts, and their very properties desired the most would make them impossible for the mechanics of various Air Forces to improvise fixes in the hangars. A sweet deal for Avro if only they could have persuaded enough buyers to commit--and then if Avro overestimated their ability to follow through and put enough repair parts for the engines in the pipeline so the mechanics had enough ready to hand soon enough to keep to normal maintenance schedules, the engines would become a bottleneck and the super-planes would be mostly grounded--hangar queens as e of pi says--I believe a hangar queen properly refers to a craft cannibalized by the mechs to keep other planes operational. But if Avro were prepared to deliver the parts promptly, and the customers prepared to pay (it would help if Avro marked up the parts only modestly, in proportion to their inherent cost due to their special materials and machining, and did not squeeze for all the market could temporarily bear--but doing that would be an attractive daydream for recouping the cost of the investment, which was I guess pretty massive) then I guess everyone would just figure the high price of keeping them all flying was the cost of excellence. That's what Avro and its Canadian boosters were hoping for. But, worse than its absolute cost is that Avro was too small compared to such big players as North American, Republic, Convair, Martin, Boeing, McDonnell, Lockheed, overseas Dassault, or even the anemic revolving doors of the British big players being constantly reshuffled by the government in the 60s, in such a risky venture. The big players probably could have risked a gamble on such a scale and perhaps survived a shortfall lower than expectations and hopes--but note that Republic went under completely in the 1960s and NAA and Convair went through major restructuring transforming them to Rockwell and General Dynamics, respectively, and of course over the decades to follow the survivors all got merged in a game of corporate musical chairs until now I can't quite tell if there are three of them left, or just two in the USA. Avro Canada was just plain out of their league and nothing short of the Canadian government nationalizing them and raising taxes significantly to subsidize them, then playing diplomatic hardball to level the field between them and the Yankee firms could possibly have sustained them in such a brutal marketplace. They weren't out of their league technically as they proved, but they didn't stand a chance as a competitive firm in that market. Their only alternative to becoming the implement of an unaccountably fanatical government would be to become the appendage of some patron big firm overseas--most likely a US one, possibly French or British--but then their unique national vision would probably be smothered in "Not Invented Here" syndrome. Poor Avro C! Poor Arrow! The more doomed I convince myself it must have been, the more I love it. That's my pathology of course--I tend to love that which is doomed or already dead--hence my championing of the Soviet cause, for instance. Or spaceplanes. It is, to remind anyone who may have forgotten this bit of family background of mine, speaking as an Air Defense Command interceptor pilot that my father so eulogizes the F-106, his personal favorite (he has also flown the F-105 in combat, and the F-16 after the Delta Dart was retired, and some other planes too). And yet, Convair's Delta fighters were a 1950s design, and its planned successors (that the higher-performance upgrades of the Arrow would have been trying to compete with) such as the F-108 were all axed, despite being Yankee products from the big boys. Actually the plane my Dad says ADCOM wanted and expected to get to replace the 106 was the fighter version of the famous Lockheed Blackbird, the F-12. "We'll take the F-12 or nothing!" thundered the ADCOM commander, says my Dad. And they got--the latter. ADCOM itself was abolished, folded into the Tactical Air Command, in the early 1980s, and its doom was sealed in those heady early '60s days, by that very same argument of obsolescence of the whole mission of continental defense by interceptors. It's not just a rhetorical trick to use against Canadian manufacturers--Dad's entire career track went down with it. Well, now, as you pointed out, someone now has to supply the repair parts. I suppose when Avro Canada gets restructured out of existence, some big firm, probably a British one associated with the Hawker group, or maybe Rolls Royce, gets the rights to the Iroquois engine and the responsibility of making those replacement parts, under contract to the Germans and the Canadian government. Maybe they'd even do some of the hoped-for upgrades, and I certainly suppose there are lessons it can teach whoever gloms onto it, NIH Syndrome or no. I guess the other airframe parts similarly get spun off to some related British firm. The costs won't entirely fade from memory as long as those expensive parts still need to be purchased to keep the old planes flying. If they are going to survive they have to prove they are worth the cost; very gradually they won't be able to keep up with newer planes--though it helps that after the 60s, the development cycle of new types slowed down a whole lot, so that we've only had a couple of newer generations since. Actually the "generation" of the planes that are still pending or just recently adopted today stretches back to the late 80s! So if they can take the cumulative wear (with replacement parts, which would be getting gradually cheaper as the state of the art catches up to them) they might stay in first-line service in Canada and Germany into the 1980s, and then become desirable commodities for second-string air forces that buy old proven models, and serve on with them well into the 90s. The "Canuck" proved quite durable after all. ...IOTL, Brezhnev was able to use this position to ensure the Party gets the upper hand on the Government. As I understand it, the Soviet system was entirely one where the Party was supreme, full stop. In OTL reality, every person ever perceived as the main leader of the USSR was also leader of the Party--in rare cases where someone like Stalin may have let someone else hold the formal office it was well understood that he was the man who counted--not despite the Party, but leading it in fact. Brezhnev did not enhance this supremacy, he merely was organically part of it--a Party man first, whatever else he was, second. Failure to keep the Party supreme would lead straight to a crisis of legitimacy of the regime and its certain collapse if that lapse were not rectified in very short order. The supremacy of the Communist Party was built in and had a lot of inertia supporting it, so for such a crisis to be reached, either the whole system had eroded to such a point the thing was about to collapse anyway, or someone would have to make a very determined effort to erode Party legitimacy, and that someone would have a lot of enemies determined to bring him down, quickly. He'd need to do an impressive job of building up some other power center, and mobilizing it. I don't see how it could happen at all. A case in point--and note that was his penultimate move. First he got to the position where he thought he could reform the USSR to bypass the Party by rising within it, to its supreme head--and he was able to get there because the whole system was indeed in extreme crisis, and his bold notions of how to reform the Party as well as the extra-Party Soviet Union held out hope to decisive numbers in diverse factions. Then, when he did give up on moving the Party as a cohesive whole to where he wanted it, in the direction he thought it must head, and as you say bypassed it effectively--he rendered not only the Communist Party but the entire Soviet Union irrelevant. Having undercut the structure he climbed to power in, its collapse took him down with it, and the entire structure he thought would be the alternative to the old Party system with all its corruptions vanished into a Utopian mist as well. I don't blame Gorbachev for destroying the USSR, or even for failing to save it--it was terminally ill by the time he arrived on the scene. But I do think he misunderstood the basis of what power he had. I've heard a little bit about Shelepin before; I think the reason I never heard more is that he is a little figure, a Shemp. And he's thinking magically about the Party Chairmanship; no one other than Lenin, Stalin, or Khrushchev ever held it before him ITTL. The difference is, those men rose organically within the Party and were accorded the leading position in part because of their political coalition-building, but also in large part because of their strong vision of the future of Bolshevism and deep commitment to it beyond it being a mere career and meal ticket--others could hold very important offices but it meant something to speak for the Party as a whole, a matter of vision, not just having a bunch of powerful cronies. I don't see Shelepin as having the strength to rule as a Stalin, nor the sort of commitment to Bolshevism he had. Of course Stalin's notion of Bolshevism included the idea that it was imperative he head the movement himself and not someone else. But he believed in it, I think. I'm not saying Shelepin didn't believe in Communism, but that he didn't have the kind of deep thoughts about it and commanding vision to convince others that he represented the current incarnation of the proper and historically necessary direction Communism would move in. Brezhnev, for all his gray mediocrity, did have that, insofar as he led, OTL, a movement toward collegial stability and staying a steady course of incremental progress. His "era" lived by that and died by that, and he incarnated the mentality. Despite his own deplorable tendency to self-aggrandizement he never ceased to be collegial, to consult with the dispersed powers of the highest level of the Party and listen to their views--one might say had he not taken his cue from others he'd have had no views of his own to implement--but that was exactly why his colleagues could agree to leave him in the top seat. Shelepin would probably try to be, in very small form, what Lavrenti Beria might have tried for had he seized supreme power after Stalin's death. Beria did not believe in the necessity of the Party and proposed to simply fold all leadership into the Soviet government; he also is said, I'm not sure how reliably, to have favored reforming the Soviet economy along more capitalist lines. This is why I doubt very much that despite his great power of terror (another reason people would want to be rid of him!) that he could prevail more than a handful of days once his patron Stalin was dead--he was not suited to run the Soviet system as it had evolved under Stalin, which very much depended on maintaining the Party as a distinct and supreme entity, and keeping a strong distinction between Western and Soviet practices--trying to reform it the way Beria wanted, even if Beria had been a saint and not the rather monstrous figure he was, would lead instantly to civil war. Now I don't suspect Shelepin the Shemp of having these particular notions; I doubt he wanted to abolish the Party or weaken it in any way nor Westernize Soviet economics. But I do think his attempt to rule through the Party would fail due to being tone-deaf to the iconic and mythic aspects of what Party supreme leadership entails; he would fall back on expedients that undercut the legitimacy and independence of the Party and would, if carried out, subordinate it to the state--thus undercutting the very foundation of all Soviet legitimacy. Before allowing this to happen, his colleagues would turn on him, and either effectively expel him from the inner circle of leadership completely (conceivably even executing him as an enemy of the people) or else sit on him until he understood that having made the misstep of moving into the Party Chairmanship, there he could only be a stuffed figurehead on a very short chain; to stay in that ceremonial position he had better study the lines fed to him and repeat them very convincingly. In effect in that case the real party chairmanship would be displaced away from the ostensible one. That would be a disturbing development in the Soviet system--assuming TTL has no brilliant nor ASB save for the USSR and it goes down much as per OTL within a couple decades, this charade would probably be considered a major event in the retrospective narrative of its collapse. Failure of the system to turn up some individual who was the right mix of charisma and fit with the current groupthink of the Party leadership would ramify in failure to speak convincingly to the Soviet masses; the moment the material progress for those masses that characterized the late 60s and early 70s of OTL faltered, the legitimacy of the Soviet system would be called deeply into question. Shelepin like Icarus has flown too close to the sun and the wax on his wings is melting; he can't go back. He should have stuck with being KGB head and worked from that position, or perhaps gone for the top Soviet governmental position--either would involve picking someone else to be nominally the leader and following them. He can't run the Party like Stalin, he has no vision for an alternative future direction he can inspire, he can't be a gladhanding regular guy who's pals with everyone who matters like Brezhnev. Top puppet is the best he can hope for now, and that will mean the real power of the upcoming decades in the Kremlin will be obscure and perhaps fragmented. Well, someone who knows a lot more about him than I do might come up with unsuspected dimensions that can explain how he can keep his position for real. If he does, from what we do know about him, I guess the subsequent decade or two will be more deeply Stalinist than even Brezhnev would have liked. Poffler? What are you trying to say. I dont recognize the word in English, French or German. Why Shevek23, you’re a romantic! The costs won't entirely fade from memory as long as those expensive parts still need to be purchased to keep the old planes flying. If they are going to survive they have to prove they are worth the cost; very gradually they won't be able to keep up with newer planes--though it helps that after the 60s, the development cycle of new types slowed down a whole lot, so that we've only had a couple of newer generations since. Hmm, good point. Reminds me of Concorde, which Airbus was far from sad to see killed off since they were obliged to keep their specialist spares in production in unprofitably low volumes all the time the aircraft was flying. I can imagine any company purchasing or merging with Avro C being similarly burdened with a spares guarantee clause before the Canadian government will authorise the deal. Which won’t make finding a buyer any easier, of course. Indeed, and I agree with your analysis. Khrushchev’s attempts to reorganise the Party structure was one of the things that led to his downfall, so his successor (Shelepin in this case) is going to be very aware of the need to keep the Party on-side - hence his extra manoeuvrings to ensure he gets the top Party role ITTL rather than Brezhnev. Shelepin will be working to make sure he keeps (and strengthens) that grip on the Party machinery. Shelepin would probably try to be, in very small form, what Lavrenti Beria might have tried for had he seized supreme power after Stalin's death. Beria did not believe in the necessity of the Party and proposed to simply fold all leadership into the Soviet government; he also is said, I'm not sure how reliably, to have favored reforming the Soviet economy along more capitalist lines. Well, we’ll see how Comrade Shelepin’s chairmanship pans out in Part III, but let’s just say I also don’t see him moving in a liberal direction, either economically or politically (he has, after all, just fronted a coup that accused Khrushchev, amongst other things, of being too liberal). However, I’m not sure I can see the former head of the KGB being comfortable as anyone’s (or any group’s) puppet - in fact IOTL he was apparently much more the puppet master, keeping control of the KGB even after he’d been promoted away from the organisation. However, I’m always interested to hear more views and opinions about the man and how he acted or might have acted in power. My reading on him has been a recent thing, so I don’t claim any special knowledge. So if things occur as the TL progresses that don’t ring quite true, or if anyone has a particular notion of WWSD (What Would Shelepin Do) on major events, please do share! Cool! I love the old VC-10! My Dad was (and is) an avid plane-spotter, and I had models of the VC-10 hanging from my bedroom ceiling as a kid. Apparently it was a noisy, dirty brute of a plane (from the outside at least - I imagine that rear engine placement would make for a quiet ride inside), but it was certainly distinctive compared to all these cookie-cutter modern airliners. Saying that, I can’t see the converted jet being much competition for the already-in-service V-bombers. I suspect rather than replacement, the V-bomber force will keep being upgraded to extend their life, rather like the Nimrod has (based on a Comet!!). on TSR.2 had to be multi-purpose aircraft, as low-level flight tactical nuclear bomber, conventional bomber and reconnaissance plane, all this supersonic. FWIW I've seen a quote that it is derived from the Scottish word "poffle", which means a small, independent farm dating from the time when most land was owned by the local lord. A Poffler would therefore be an independent farmer. It was applied to the VC10 because it was designed to operate independently. Hmm, good point. Reminds me of Concorde, which Airbus was far from sad to see killed off since they were obliged to keep their specialist spares in production in unprofitably low volumes all the time the aircraft was flying. Well, it would be a lot cheaper that TSR-2. But would it be cheaper than keeping the V-bombers going? Ah, that makes some sense! It's still a very odd word though! Whilst the manned space feats of the Superpowers tended to generate more headlines, both the USA and the USSR were engaged in building and launching unmanned space probes during the early 1960s. In the early years, successes like the Pioneer-3 and Luna-1 Moon probes were heavily outweighed by the failed attempts, but with each new launch more lessons were learnt and greater experience won. In many cases the scientific results were considered to be of secondary importance compared to the engineering skills developed, especially in the fields of celestial navigation, command and tracking, and thermal control systems. However, the scientific knowledge gained was also considerable, and the results were published and shared in a far more open manner that was typical for the two Cold War antagonists. The early focus on the Moon as a target for space probes had continued through 1961 and into 1962. Luna-1’s successful flyby of November 1961 was followed in February 1962 by another Soviet attempt at an impactor mission. Named Luna-2 (though it was actually the fifth attempted Moon probe), this L1-B type probe was an upgrade of Mishin’s earlier L1-A impactor design, but unfortunately shared the fate of its immediate predecessor by missing the Moon and passing into interplanetary space. The probe’s radiation detectors nevertheless returned useful information on the near-Earth interplanetary environment, continuing to function for several weeks before passing out of range of the Soviet deep-space tracking stations. On the American side, the US Air Force were also following up their earlier successes, with the launch in July of Pioneer-4 on an Atlas-Agena vehicle. Unlike the earlier Pioneer-3, Pioneer-4 was designed as an impactor intended to take close-up pictures of the Moon’s surface on its way to destruction. However, a guidance error on the Agena upper stage caused it to miss the Moon and follow Luna-2 into deep space, although not before taking a startling black-and-white image of the crescent Earth seen from lunar distances. Not to be deterred, JPL sent Pioneer-5 to the Cape for a September launch. This time there was no mistake, and Pioneer-5 sent back a series of stunning close-up images before becoming the first man-made object to hit the Moon on Monday 17th September 1962, impacting in the Mare Humorum close to Gassendi crater. This success was followed up in March 1963 with Pioneer-6, which became the first man-made object to circle another celestial body when it entered orbit of the Moon, demonstrating the Air Force’s new-won skills in celestial navigation. The Naval Research Lab, in contrast to its dead-end attempts at launcher development, continued to develop scientific spacecraft through the early 1960s, launching several deep space science missions under the name “Mariner”. Massing around 200 kg, the first two examples, Mariner-1 and Mariner-2, were launched atop separate Atlas-Agena rockets on the 8th and 11th December 1962 respectively. Their target was the planet Mars, with two spacecraft launched in order to maximise the chances that at least one would make it, avoiding the need to wait another two years for the interplanetary launch window to open. The wisdom of this approach became apparent when contact was lost with Mariner-2 just hours after launch. Although the cause was never definitively uncovered, the fact that the failure occurred whilst the probe was passing through the Vernov Belts led many to suspect that the radiation caused a spurious signal in the probe’s electronic control systems, shutting down the transmitter. If true, this would be the first recorded instance of a “Radiation Induced Anomaly” (RIA), a failure mode that would go on to become the industry-standard fall-back explanation for any spacecraft problem lacking an easily apparent cause. Whilst Mariner-2 was making engineering history in its own way, it was hoped that Mariner-1 would go on to make scientific history by successfully crossing the hundred-million kilometres between Earth and Mars. Unfortunately it was not to be, and four months into its voyage contact was lost when a battery fault caused the probe to lose all power. Better luck came in February 1964, when Mariners 3 and 4 were launched towards Venus. Both continued to function well throughout their cruise, and in late May they passed within 70 000 km and 130 000 km of the planet respectively. The probes carried no cameras (nothing assumed to be visible through the thick clouds that had been observed from Earth), but their radiometers revealed a world with a cool outer cloud layer enveloping a scorching hot surface, whilst magnetometers revealed the surprising fact that Venus had no magnetic field to speak of. Despite this early flurry of lunar and planetary probes, by 1963 it was realised that there was a deeper lack of direction to American unmanned space efforts. All of the lunar probes were run by the Air Force, with the primary objective of demonstrating technologies rather than answering scientific questions. In addition to the Mariners, the Navy, and to a lesser extent the Army, had launched a few small Earth and solar physics spacecraft in this period, but after 1963 their efforts began to focus more and more on the practical applications of Earth-orbit satellites. The Navy were developing a more capable follow-on to their successful Iris weather satellites, the Defense Meteorological Satellite programme, to use a constellation of spacecraft based in Geostationary orbit for constant monitoring of the Earth’s weather systems. Together with the Army and the DRA they were also working on the Defense Satellite Communications System (DefSatCom) to provide secure voice communications to major Army bases and ships at sea. In addition to these acknowledged programmes, there were secret efforts to develop a series of nuclear detection and ballistic missile early warning satellites, as well as the ongoing development of larger and more capable spy satellites under the NRO. Amongst these pressing military needs, members of the scientific community found their wishes subordinated, reduced to providing a few small instruments as occasional secondary payloads, as long as they wouldn’t interfere with the real work of the military. This situation began to change as the 1964 election season approached. Nixon had been considering a reorganisation of the Department of Commerce, and as part of that effort planned to move the roles of the Geodetic Survey and Weather Bureau, along with a few other environment-related functions, to a new National Environmental Sciences Administration. As the Commerce Bill passed through Congress in early 1964, Senate Majority Leader Lyndon B. Johnson seized the opportunity to push both his long-standing advocacy for space exploration and bring skilled jobs into a vulnerable Democratic district by proposing a mark-up that would include unmanned space exploration under the remit of the new Administration, with the headquarters to be located in Houston, Texas. The land for the headquarters was donated by the University of Houston and Rice University (rumour has it after a series of calls from the Office of the Senate Majority Leader). The new Administration would also take over technical facilities from the Naval Research Lab in Bay St. Louis, Mississippi. Despite a counter-proposal to move these scientific missions over to the NACAA, it was generally felt that NACAA’s role should remain more in the fields of engineering R&D than scientific study, and so April 1964 saw President Nixon sign to create the National Environmental and Space Sciences Administration (NESSA). In the USSR, Mishin’s OKB-385 took the early lead in interplanetary exploration, launching two probes each to Mars and Venus in October and November 1962. Of these four attempts, one failed at launch and two failed to escape Earth orbit, earning a “Kosmos” moniker to hide their true purpose. The survivor, Venera-1, lasted a further two months before communications were lost on the way to Venus, probably as a result of faulty wiring. Mishin tried again in December 1963, launching another two probes towards Venus, but again there were failures. Only one of the probes left Earth orbit and the second, quickly re-named Solntse-1, suffered a guidance failure that put it on an heliocentric orbit completely missing the planet. These failures gave the United States and Mariner-3 the honour of the first successful interplanetary encounters, but Mishin was able to reclaim some glory when his Mars-2 probe made a successful flyby of the Red Planet in July 1965 (its twin Mars-1 having succumbed to an explosion in its attitude control propellant tanks en-route). Just a few weeks later the American Mariner 5 and 6 spacecraft (the last interplanetary missions to be led by the NRL) duplicated his achievement, allowing for observations of the planet from varying perspectives with multiple instruments over a very short time period. These parallel programmes together returned a wealth of data on Mars, including the revelation of a surprising dichotomy between the heavily cratered southern hemisphere imaged by the Mariners and the smoother planes revealed by Mars-2 farther north. They also finally and decisively disproved romantic notions of Martian canals, and revealed an atmosphere even colder and thinner than had previously been assumed. Of life there was no sign. Even as Mishin was celebrating the success of Mars-2, his domestic rival was preparing to enter the fray. Chelomei’s Raketoplan system had always been about more than manned spaceplanes, and despite the withdrawal of much of the support he had enjoyed prior to the March Coup, in July 1965 he was ready to test his five-tonne Heavy Interplanetary Spacecraft (Tyazhelaya Mezhplanetnaya korabl', TMK) on the fifth launch attempt of the UR-500 “Proton” heavy rocket. More than just a flyby attempt, the TMK would enter orbit around the Red Planet, as well as releasing a small lander, based upon a scaled-down version of the Safir capsule, to take the first pictures from the surface of another planet. Whilst en-route, propulsion, power and communications would be provided by a modification of the standard Raketoplan Common Equipment Module (Apparat Obshcheye Oborudovaniye, AOO), which had flown successfully in November 1964 in support of an experimental radar reconnaissance satellite for the Soviet Navy. For TMK-Mars, the AOO would support solar panels and a large communications dish for contact with Earth, as well as propulsion and attitude control systems for all necessary deep-space and Mars orbit insertion manoeuvres. In addition, several deep space field and particle experiments were mounted to the support structure between the AOO and the lander, along with a camera system designed to image the Martian surface. By demonstrating the superiority and flexibility of his Raketoplan-based systems, Chelomei hoped that TMK-Mars would allow him to win back the support of the Politburo and restore him to the position of the lead Chief Designer for space systems. As had become standard practice for interplanetary missions, two TMK-Mars probes were prepared for the 1965 opportunity, doubling the chances of success for this complexed mission. However, unlike the case for Mishin’s smaller probes and their R-6A and M-1 rockets, Tyuratam as yet had only one UR-500 launch pad available. This meant that whilst much of the integration and preparation work could be carried out on both rockets in parallel, the launches themselves would have to be performed in series, one after the other. With only a narrow launch window to target, ground crews would have to operate at peak performance to ensure both rockets left the pad on time. Just to make the launch even more critical, the UR-500 “Proton” had so far had just one fully successful launch (a physics satellite which had given the launcher its name), with the two previous attempts failing due to a first-stage engine explosion and a second stage failure respectively. All in all, a lot was riding on these Mars launches. On 28th July the first of the two UR-500s roared into life and left the pad at Tyuratam. Unlike the previous attempts, this time the rocket performed flawlessly, with all three stages completing their burns, placing the first TMK-Mars probe, now officially named “Mars-3”, onto its interplanetary trajectory with only minor course corrections needed from the AOO stage. Before the echos of the launch had even died away, Barmin’s ground crews immediately set to work prepping the pad for the second probe. Just five days later they were ready to begin on-pad fuelling of the second Proton rocket, but as the procedure began pad crews noticed a crack in a fuel line, resulting in UDMH leaking down the interior of the first stage and into an electrical control box. Propellant loading was halted whilst the pipe was repaired and the spilled fuel scrubbed, but with the launch window rapidly closing there was no time to replace the control box. A few quick electrical tests indicated that it continued to function within specifications, and so Chelomei authorised the launch to go ahead on 4th August. On its sixth flight, Proton unfortunately did not perform so well. The first stage, including the contaminated control box, worked as designed, but the rocket was let down by the second stage, which deviated from its planned trajectory almost immediately after separation, and had to be destroyed. The fault was eventually traced to the guidance system, which in the rush to get the rocket to the pad had somehow been left in a test configuration. The fault was easily corrected and the next Proton flight in November 1965 would be a success, but the August failure left Mars-3 as the only Soviet champion for the 1965 launch opportunity. Despite a minor scare three months into the cruise, when an erroneous ground command temporarily caused a loss of communications with the probe, Mars-3 successfully entered orbit of the Red Planet in May 1966, becoming the first spacecraft to orbit another planet. However, this achievement was tarnished when the lander failed to re-establish contact with the mothership following its atmospheric entry. Despite this setback, Mars-3 itself continued to send back a wealth of data and images for the next seven months. These observations confirmed the strange dichotomy between the planet’s northern and southern hemispheres, as well as discovering a plethora of massive geological (or areological) features such as the Tharsis volcanoes and immense canyon systems. The Mars-3 mission was a scientific and propaganda success for the USSR, and for Chelomei in particular. After Mishin’s quick successes in unmanned and manned flight, Chelomei had now demonstrated that his slow-and-steady Raketoplan strategy was paying off. Even as Mars-3 continued to send back data, Chelomei was preparing to show that his manned systems were equally effective. Always thought more foreign participation - not through making rockets, but making satellites - was interesting. Perhaps we will see more foreign participation early on in this TL? 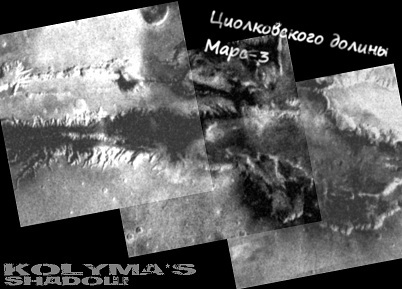 First there to see, name it first, so biggest volcano in solar system is named Tsiolkovsky Mons. Let see if NESSA can launch heavy Space probes with landers in second half of 1960s, If NACAA big Minerva Rocket is ready. ehh Prospector rover program ? sadly it was canceled for Apollo Program, but in this TL there no apollo program so Prospector could wander. now those could walk also in early 1970s on Mars. To add on to what Michel said, there was also a parallel program of "Mariner," "Voyager," and "Navigator" planetary exploration probes, with the Mariners being early fly-bys and the like, the Voyagers jumping up to orbiters and landers for Mars and Venus, and the Navigators adding outer planetary exploration and more complex missions, perhaps sample return or planetary rovers (details are a bit sketchy). Of course, this did even less well than Ranger/Surveyor/Prospector; because of the Moon focus and, of course, the lack of knowledge of their targets (particularly significantly, the discovery that Mars has a thin atmosphere made engineering spacecraft to land on it considerably more complicated and forced a wholesale Voyager redesign, while Venus...well, Venus is hot, you know), Voyager didn't start until 1967 and quickly died because of a perception that it heralded the indefinite continuation of Apollo-era NASA budgets for a Mars mission, being replaced by Viking, essentially. Navigator never even started. Much as Michel says about the Prospector program doing better due to the lack of interest in a near-term Moon landing, Voyager and Navigator are likely to be a bit better off. Voyager in particular will benefit from not being associated with Apollo and not relying on the Saturn Vs for lift, since that drove up costs (both directly, because obviously the Saturn Vs were expensive, and indirectly, because they meant a big, heavy, and therefore capable and costly probe), and may fly in 1971 or 1973; the Grand Tour spacecraft, perhaps, will be called Navigators, just as Voyager was recycled for them IOTL. I'm very happy that the Soviets are having more luck with their planetary program than OTL--that was always an area they had little success in (outside of Venus, of course). Mostly that was structural, admittedly--they just don't seem to have taken quality control as seriously as NASA eventually did--but some of it was just plain bad luck, and it's nice to see someone other than NASA bringing home the (scientific) bacon. With the successful Mariner and Moon Flights JLP got ambitious in 1965. They planned for Mars extremely large probes for 1974-76 to land on planet Mars, called Voyager. But as a result of Mariner 4, they had to change the size of the lander from Surveyor to Apollo CM size with mass of 11 metric tons. And the Launcher original planned Atlas Centaur, was replaced by the the Saturn IB with Centaur upper stage. In end the Voyager needed a Mighty Saturn V just to get two of them to Mars ! The US congress refused to feed this Monster with money and cut it's funding for the 1968 NASA budget request. JLP was forced to terminate the Voyager, the name was proposed at NASA to reused for JLP Grand tour program. another great chapter, the exploration of the Solar system are developing quite fast , lets see what Europe will do . Cant hardly wait for the next chapters . It’s quite possible. There’s already been a lot of sharing of data between the Superpowers on science missions, with Mars-2/Mariner-5/6 being a good example. I’m sure future science missions will include instruments from other, friendly nations. Well, NESSA will certainly be looking at organising a more logical, science-led series of missions than has been the case up to now, so expect to see flybys, orbiters and landers on their shopping list for the coming decade. Assuming the budget fits, of course. Regarding Minerva’s progress, we’ll be taking a look in the next post. To add on to what Michel said, there was also a parallel program of "Mariner," "Voyager," and "Navigator" planetary exploration probes, with the Mariners being early fly-bys and the like, the Voyagers jumping up to orbiters and landers for Mars and Venus, and the Navigators adding outer planetary exploration and more complex missions, perhaps sample return or planetary rovers (details are a bit sketchy). This sounds like a pretty logical sequence to me. The lack of Apollo ITTL will mean less attention paid to the Moon compared to OTL (you’ll note there’s been no soft landing on the Moon - or anywhere else - as of 1965, since there’s less urgency in making sure such a landing is possible). The Grand Tour launch window is still there of course, and will have been noted by NESSA’s scientists and engineers, so I certainly expect them to line something up for that opportunity. I’ll let you in on a little secret: They almost didn’t! I made a slight re-write a week before putting out the post to give a bit of a boost to the Soviets’ missions - you may be able to spot the ‘scar’ of this modification still in the final post. ITTL, without the overspill of Apollo funding raising expectations, JPL will probably be a bit more modest/realistic in their proposals. I can see them working quite well with NESSA, once the new agency finds its feet. Thanks! I’m afraid we’ll have to wait for Part III to go into Europe’s exploits, but don’t worry, they won’t be forgotten.